Great White Shark cage diving in Hermanus, South Africa is an utterly incredible experience that ALL the family can do – with 12 year old kids to 92 year old Grandmas jumping into the cage. Great White Shark cage diving in Hermanus is a 365 day a year activity (weather permitting). Sharks are spotted all year long. Great White Shark cage diving has been operating here for the last 26 years, with Hermanus being THE place on the planet to do it, with a hit rate of 99% all year long and some boats can easily see up to 10 or 15 sharks in one trip out to sea. There is NO need for scuba or snorkelling experience as it is all surface viewing and novices are very welcome. You pop on a wet suit, pop on a mask and jump into the cage, which is 3 metres high; 2 metres under water and 1 metre above it. When a shark approaches, all you do is hold your breath and duck-down into the lower section of the submerged cage. Resurfacing obviously to get another lung full of air. Each cage holds up to 6 people in one go. You will be at sea for 3 to 5 hours. 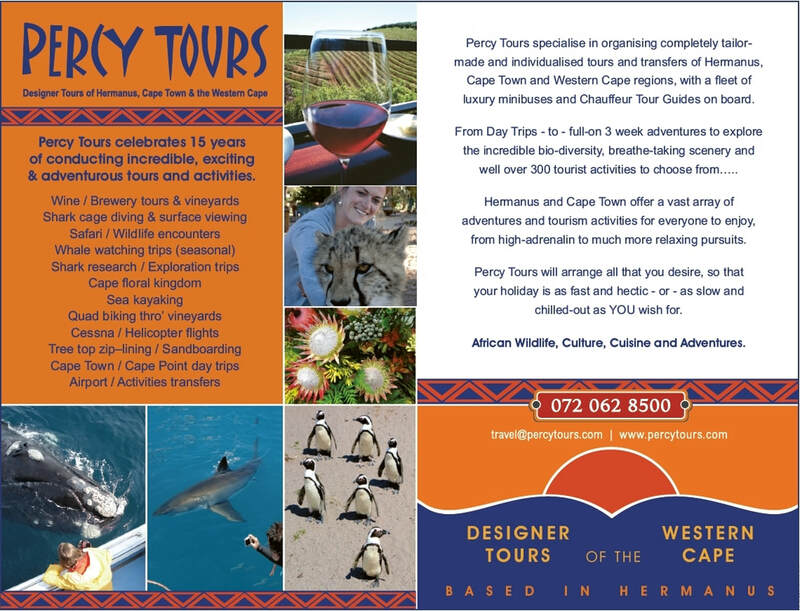 The best thing to do is book your Shark Diving trip to occur on the first day you are in Hermanus/Cape Town and if the weather is not so good on that first day, then we just simply move your trip to the next good weather day.